Left 4 Dead? – A first-person shooter game that does just that, it leaves you for dead as you to play through a zombie apocalypse movie with your friends as one of four survivors! – Why hasn’t this been done before now? I’ve liked the Source game engine ever since I first played Half-Life 2 and it’s good to see Valve continuing to develop it as they release more games using it such as the episodic updates to Half-Life – but I also like that they are creating some very different types of games using it like Portal and now we’ve got another in the form of Left 4 Dead. I’ve started to become a real fan of Valve’s Steam digital distribution system and recently took advantage of one of its weekend special deals where they offer a game at a vastly reduced price – Left 4 Dead with 50% off was recently one of those games, so I snapped it up without hesitation! There are 4 movie-style campaign scenarios to play through, each containing several individual levels that cover different types of areas and terrain, In each one you must make your way through the hordes of zombies to the “safe house” at the end of each level where you can take a breather and restock on health, guns and ammunition. No Mercy – Starting out from the roof of an apartment building, you must make your way across town to the hospital to be rescued by helicopter. Death Toll – Fight your way through suburbia and small-town America in an effort to reach a rescue party to take you upriver to safety. Dead Air – Work your way from the downtown business district across to the airport to try and catch the last plane out of the infected city. Blood Harvest – Try and find your way through the infected countryside working your way through forests and tall fields of corn to the evacuation point. Along the way you can choose various types of weapons to take on the zombie hordes, such as pistols, shotguns, machine guns, explosives, however you’ve got to make the decision of which weapons as you can only carry one gun and one explosive in addition to your pistol(s). These campaigns are really well designed, I just wish that there were more of them to play (hopefully Valve will release new ones as they provide updates to the game like they do when they update Team Fortress 2) -having said that though, the upcoming Left 4 Dead update on the PC will include a map editor, so I’m sure we’ll be seeing lots more to choose from in the future – I just hope that there are some more high-quality ones that live up to the standards set by Valve. There’s no particular order to play these ‘movies’ in, but whichever you play first, I can certainly say that there’s nothing like the first time you hear a horde of zombies approaching, quickly followed by seeing a horde of zombies running to you in a very definite ‘28 Days Later’ style. Hunter – More dangerous than the commonly infected horde, they are faster, vicious, agile and will jump around and pounce on you. Boomer – Fat and slow moving, these infected will vomit a poisonous bile onto you which blinds you, but worse still attracts the infected horde to your location. Smoker – Are rather sneaky and will try to ensnare a survivor from the shadows, choking them as they pulled towards it – another survivor needs to rescue them for them to get free. Tank – A large, highly mutated infected with great strength who will try to pummel you to death, survivors need to work together to take these down quickly. 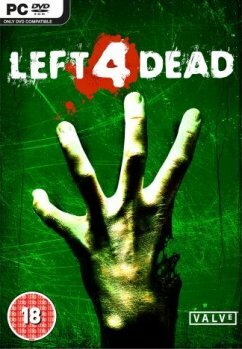 Left 4 Dead has recently won the BAFTA Multiplayer game of the year and rightly so as it’s certainly the best multiplayer game I’ve played in the past year, the zombie team really do need to work together and to their strengths with regards to the tactics that they use to try and defeat the survivors’ team. One of the stand-out features for me is the “AI Director” technology which Valve has created to allow for more re-playability by creating a more unique gameplay experience each time you play. 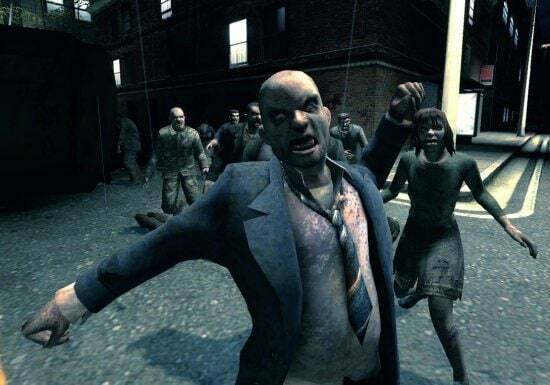 Depending upon your performance in playing the game, the Director will alter the frequency and ferocity of zombie attacks, it also adjusts pacing, special effects and audio which means that even though there are only four campaigns so far, you will definitely be wanting to play them again to see how things vary. – I wonder if the AI Director will be appearing in future Half-Life games? 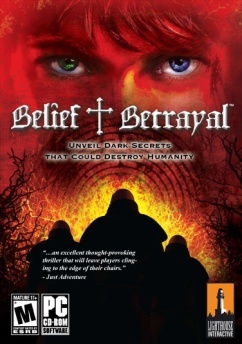 Overall, this is a great game and the best part of Left 4 Dead for me is the fact it was designed as a co-operative game when being able to play through the story parts of the game working together with your friends – I think this definitely adds more to the experience of playing these FPS games and more developers should be offering a full story co-op mode in their games – I’d love to see this kind of gameplay in games such as Call of Duty.